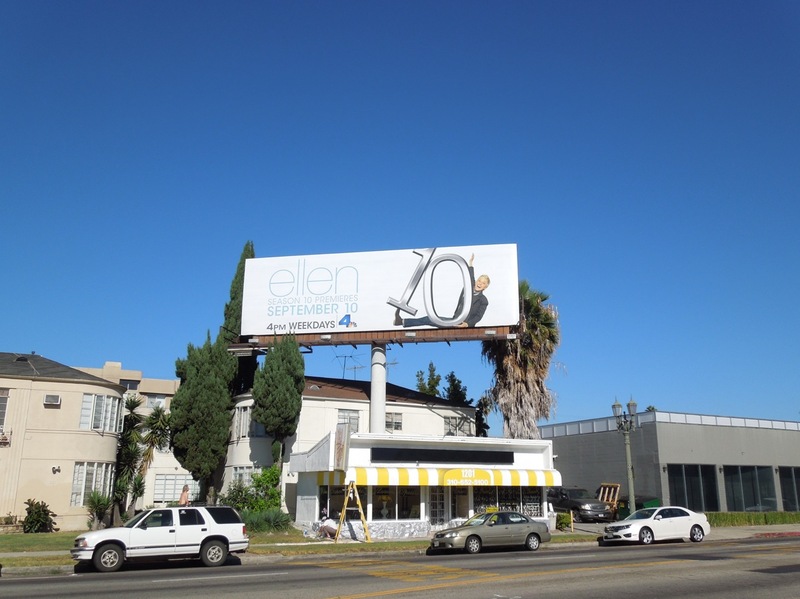 Daily Billboard has been meaning to pay homage to Ellen DeGeneres for some time now, but as you can see the stream of billboard ads is oft times never-ending. 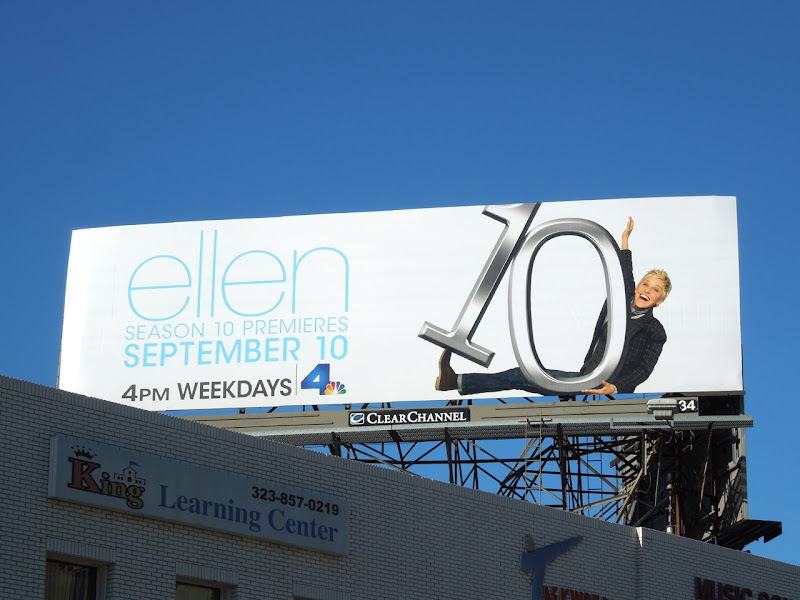 Finally though it's time to celebrate the well deserved tenth season of the iconic entertainer's daytime talk show. 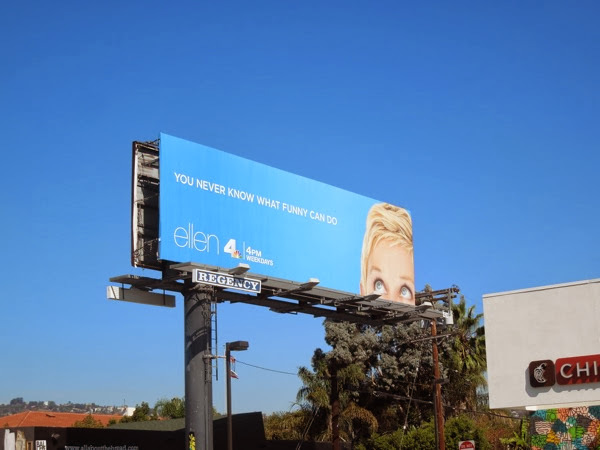 As a successful woman she's inspiring to so many, but also as a celebrity lesbian she's also done so much as a role model and a champion for gay acceptance by the mainstream population (and continues to battle the haters by landing high-profile advertising campaigns with retailers, drinks and cosmetics companies alike). 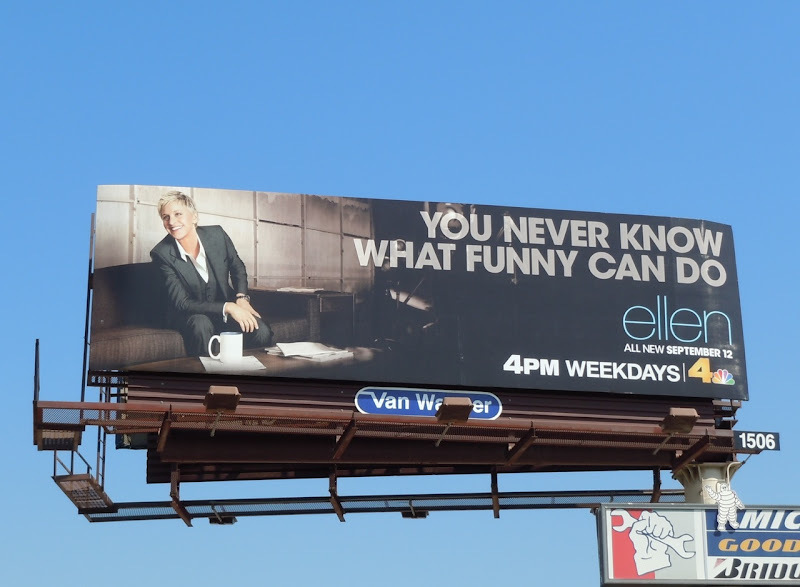 This 'all-new Ellen' billboard was snapped at Warner Bros. Studios in Burbank (where the Emmy-winning show is filmed) in February 2011, whilst the 'You never know what funny can do' season nine billboard was spied along Fountain Avenue on September 6, 2011. 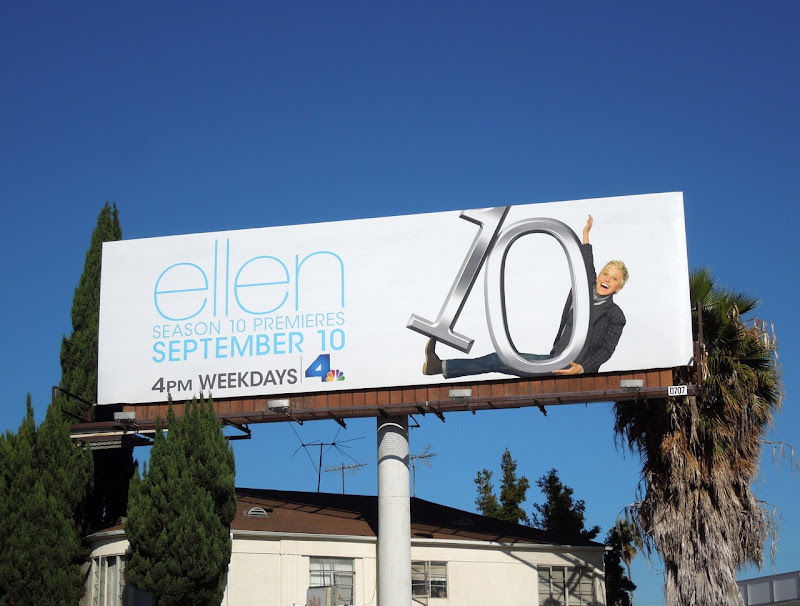 The fun billboards for the comedienne's tenth season were spotted along Wilshire Boulevard and La Cienega Boulevard on September 1, 2012. 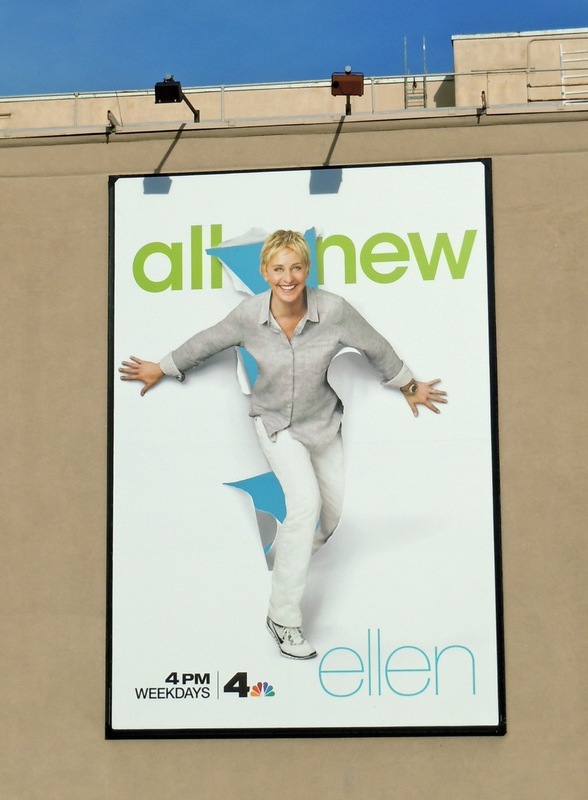 Long may she reign as the queen of daytime TV. 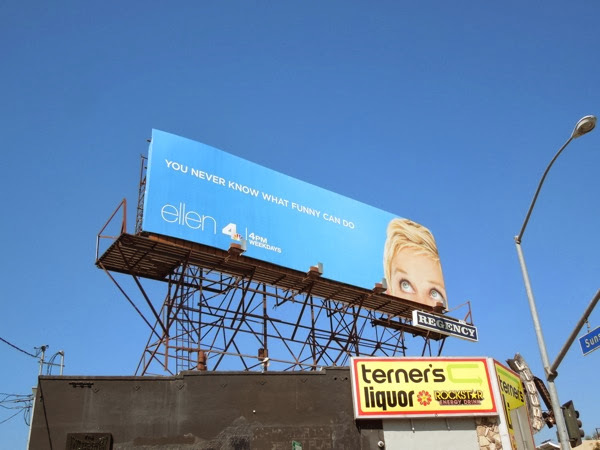 UPDATED: If you've missed Ellen DeGeneres she's back for a fantastic eleventh season with these whimsical 'You never know what funny can do' billboards around the streets of L.A. 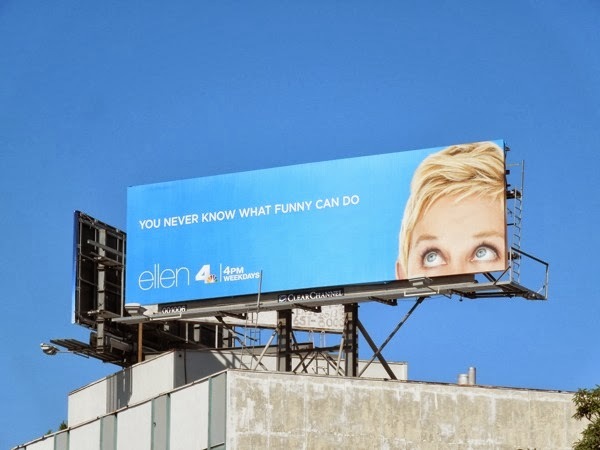 The comedienne and talk show host (and most importantly the voice of 'Dory' from Finding Nemo, soon to get her own sequel, Finding Dory) was spied along Sunset Boulevard, Melrose Avenue, Beverly Boulevard and towering over Sunset & Vine from August 24 to September 22, 2013. 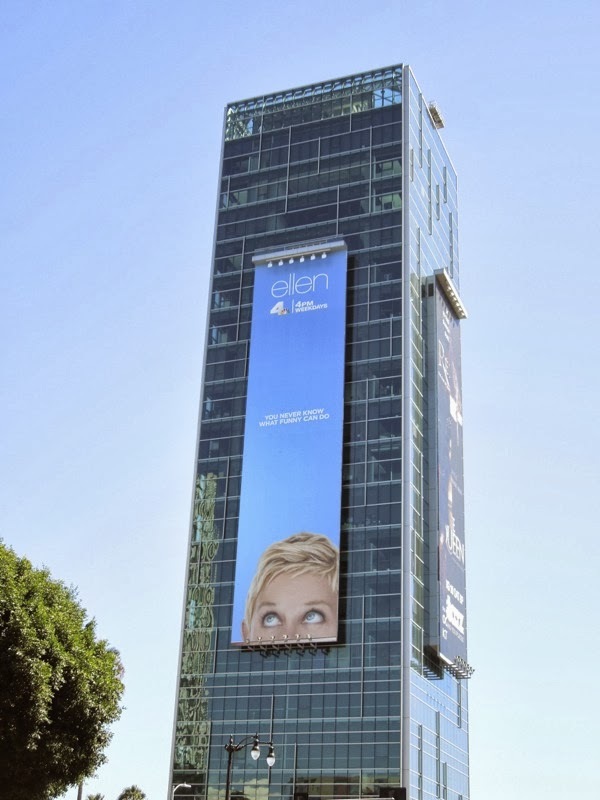 Blue is certainly her colour.